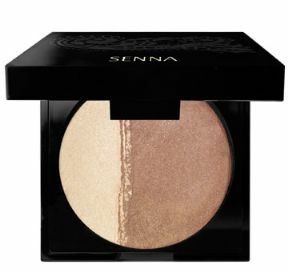 This glowing mineral bronze and highlighter gives cheeks a sheer, soft flush of healthy, fresh looking colour. The sparkling highlighter brightens and illuminates skin as it reflects light from flaws for a gorgeous, soft focus effect. This delicate powder veil contains specially cultivated fresh water pearls with amino acids and proteins to hydrate and nourish skin, keeping it luxuriously soft and smooth. Free of oils, talc, fragrance and parabens.